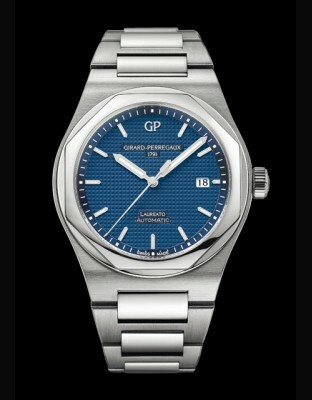 In 1975, Girard-Perregaux introduced the Laureato, a timepiece that single-handedly broke all the conventions of that time in terms of the shape, the materials and the movement. Suggested by Girard-Perregaux's Italian distributor, the name is a nod to the film world. It is inspired by and indeed bears the same name in Italian as the Mike Nichols film The Graduate (1967) starring Dustin Hoffman, Anne Bancroft and Katharine Ross. 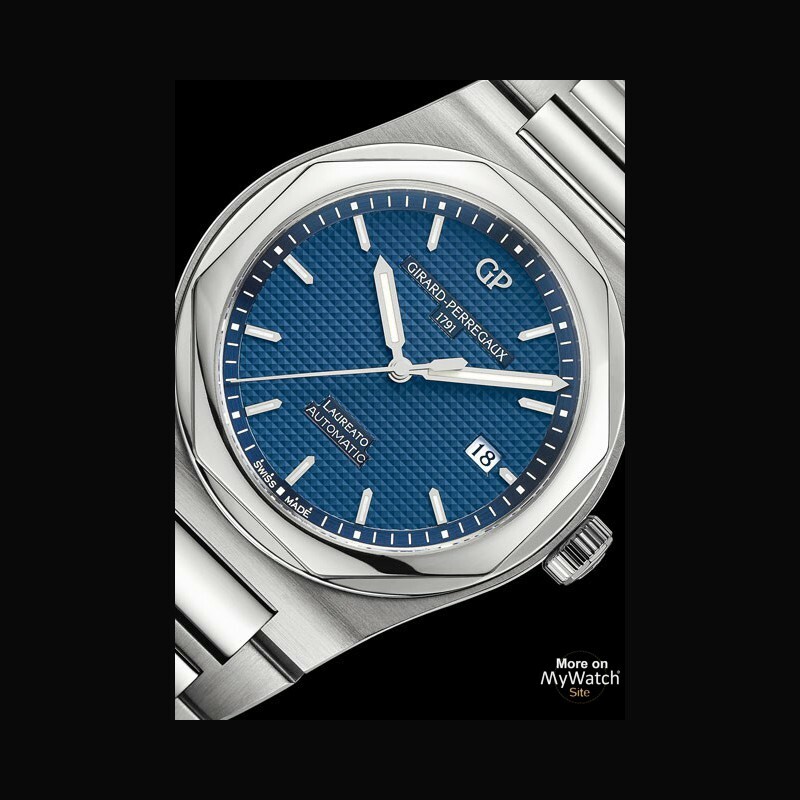 If historians were to choose the watershed moment when the watchmaking industry began using steel as a quality material to make high-end watches look sportier, they would also have to factor in the Laureato's trajectory from its period of development to its release in 1975. Right from the beginning, this model also featured gold which was particularly unusual for watches of this type. The word bold has always been part of the Girard-Perregaux vocabulary. Such a daring venture was an inspired move at a time when marketing departments hadn't yet taken their first steps into the world of watchmaking. The Laureato's polished octagonal bezel embedded in a satin-brushed case makes it a pioneering model in integrated bracelets. The bracelet's aesthetically pleasing design didn't sacrifice comfort or flexibility and not long after, a polished strip was added across all of its polished-hinge satin-brushed links. A beautiful interplay of shiny and matte or – for models with a gold bezel and links adorned with gold insets– precious yellow and sporty gray. 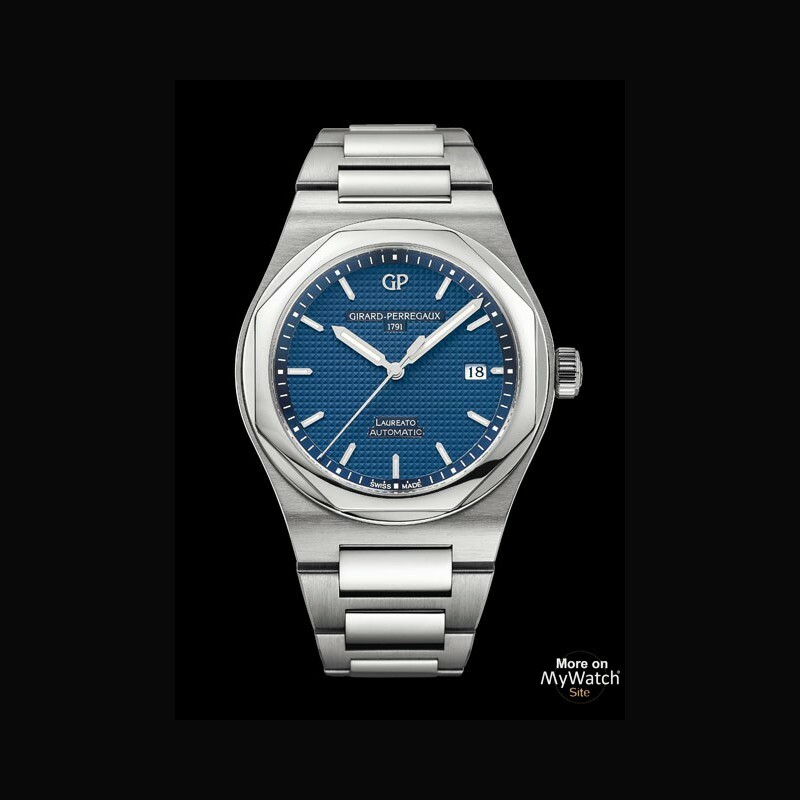 As soon as the Laureato was introduced, it was part of the emerging trend for two-toned watches. 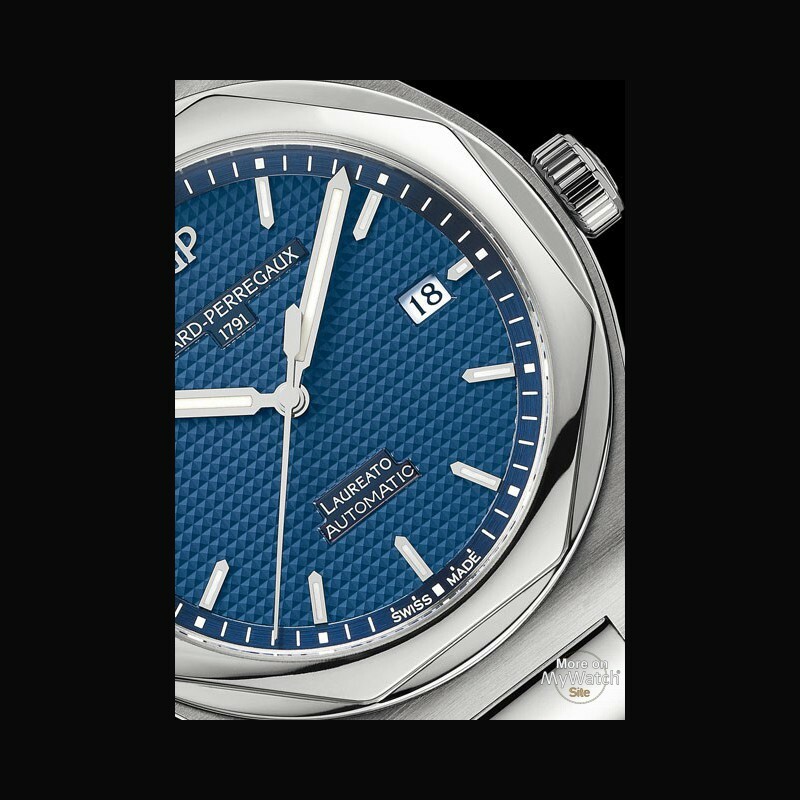 While today the Laureato's design is obviously iconic, when it was first released Girard-Perregaux was focusing its efforts on completing a pivotal technological advance. At a time when the arrival of quartz in Swiss watchmaking was threatening to upset the most established balances, the Brand began developing a quartz movement in-house. By setting the quartz's oscillation frequency at 32,768 Hz, Girard-Perregaux set the standard for quartz movement timekeeping. This was when dials were first beginning to be marked with "Quartz Chronometer," as are all watches that pass a stringent inspection for precision even today. 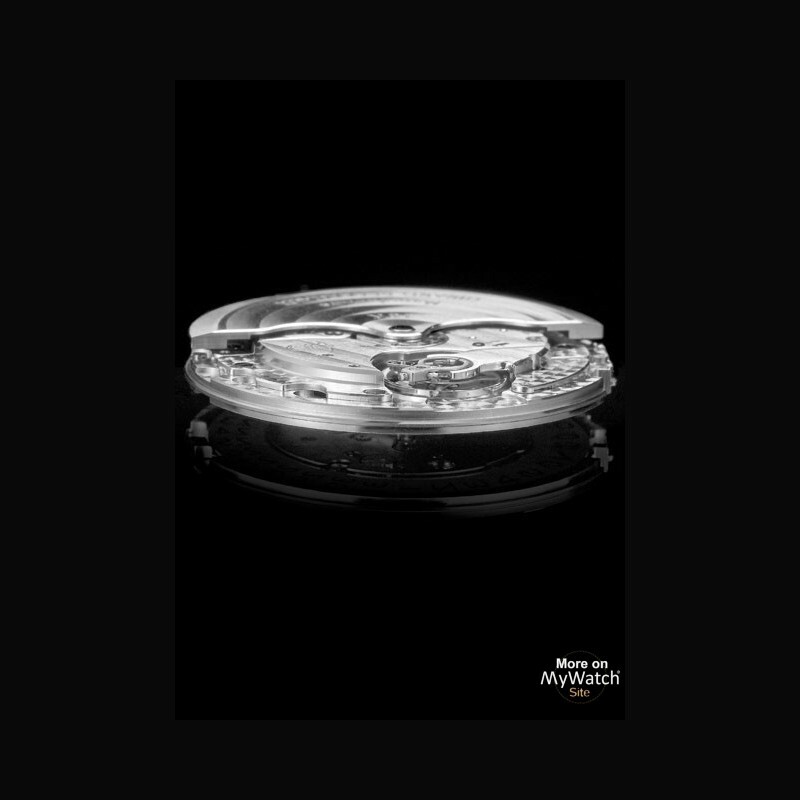 This standard is still the quality benchmark and the international standard for makers of quartz movements. Legends are unique because they transcend fashions. In 1984, complications were added to the Laureato that increased its allure and presence across all market segments. This is when it was equipped with the famous Equation movements that supplied astronomical indicators. The bezel on the case and integrated bracelet was still octagonal and polished. The bracelet was enhanced with domed interlinks with a polished surface that nicely offset the shiny bezel while also resulted a pleasantly rounded form. In order to accommodate the slimline self-winding mechanical GP 3100 movement, the Laureato's dimensions had to be enlarged with a new construction that did not at all affect its original proportions. There was more room for the bezel and case-band while the links in the bracelet began resembling an H.
In 1996, the chronograph version led to the Olimpico collection and in 1998 this design change resulted in encasing the well-known Tourbillon with Three Gold Bridges movement, a signature feature that is synonymous with Girard-Perregaux. Along the way, there was a clear message in this new and more sporty world: the extraordinary tourbillon confirmed it was reliable and rugged under any conditions. With a self-winding mechanical chronograph movement, the now famous Laureato design entered the third millennium by advancing toward diameters larger than 40 mm. The Laureato EVO3case came in at 44 mm and had an octagonal bezel – the first one to be satin-brushed – that was nestled inside and enhanced by the circle. Seamlessly integrated, the screwed winder and push-pieces showcased the collection's sporty style. Inside the Laureato EVO3, the 52-jewel manufacture movement Girard-Perregaux GP 033C0-A0VAA with a 46-hour power reserve is a kinetic tribute to the microcomplications and the balance of their display: the 24-hour counter sits at 9 o'clock opposite the second counter at 3 o'clock and the calendar-hand date marker lies at 12 o'clock. The chronographic minute and second hands are tipped in red and sweep across the entire dial. The collection was then developed with versions of the Laureato Tourbillon with Three Bridges that were completely transparent. Bridges made of sapphire as well as blue spinel presented a levitating effect and as a result the model met with phenomenal success. 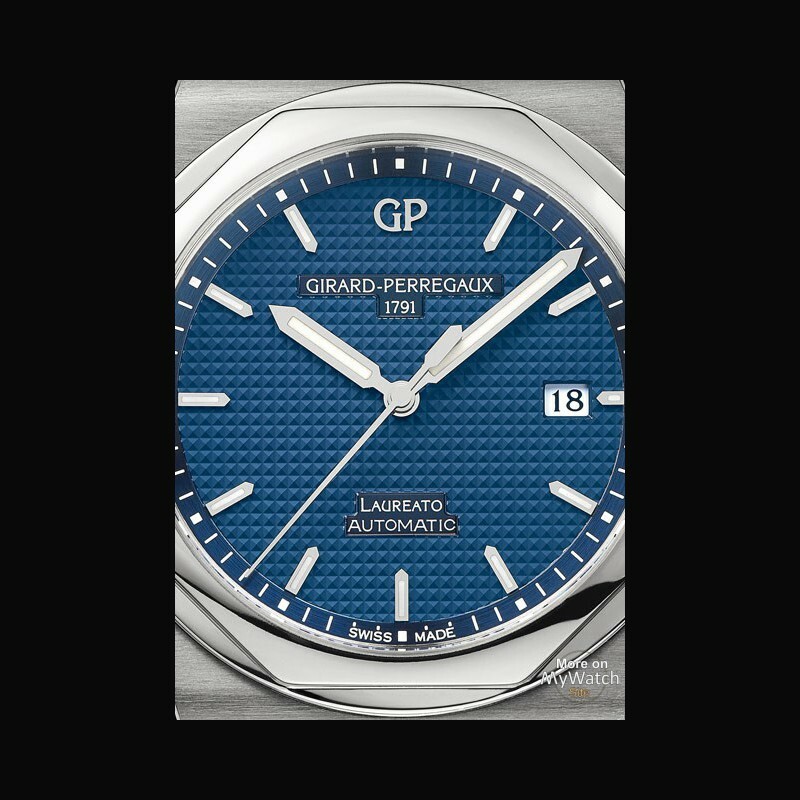 While preparing to celebrate its 225th anniversary, Girard-Perregaux returned to its iconic Laureato and the original design premise. Backed by the manufacturing arts and micromechanics expertise, over 40 years after the first steel Laureato was introduced and as a tribute to its success, the Brand is honoring the timepiece with a limited edition of 225. Watchmakers and lovers of fine watchmaking have always appreciated the properties of steel and it is making a strong comeback as it is invariably associated with the sporty watch design. Once again there are the well-known hexagonal bezel and the understated seamless integration of the flexible bracelet, but this time it has a clasp and a subtle interplay between polished and satin-brushed finishing. The 41 mm diameter returns to reasonable standards after allowing itself a momentary foray into the XXL era. The baton-shaped hands come from the original model and have been embellished with a hint of luminescent material while the dial (sometimes white gray sometimes navy blue) is stamped with a Clou de Paris small checkerboard pattern like the first 1975 models. The date appears at 3 o'clock. Among the inconspicuous signs that this is a modern edition are an anti-reflective treatment on the crystal and the addition of a sapphire crystal on the back. 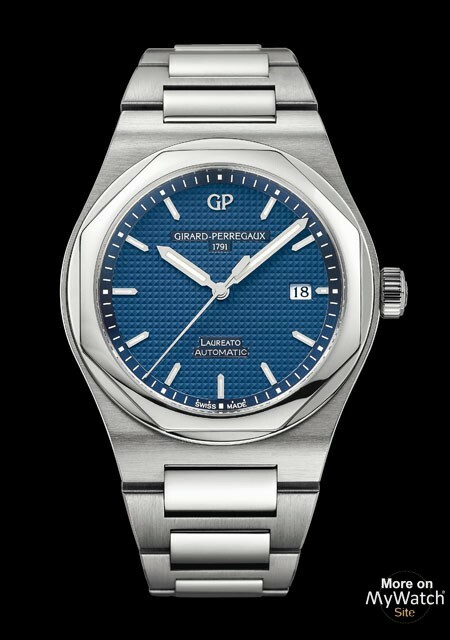 As with any fine watchmaking brand, the Laureato features a Manufacture movement: the GP03300-0030. This 27-jewel self-winding mechanical movement with flawless finishing is equipped with an oscillating weight that can be viewed through the case back. It has a frequency of 28”800 vibrations per hour and a 46-hour power reserve. Backed by 225 years of history, Girard Perregaux guards its expertise and centuries-old craftsmanship. Internally, it is preserving the treasures of its legacy and the museum is poised to reopen in La Chaux-de-Fonds. Exploring the timepieces on display at the museum reveals a journey marked by impassioned artistry and boldness as well as a collection that has become timeless and captures the spirit of founder watchmaker Jean-François Bautte in 1791. Created in 1975 and faithfully re-released for the 225th anniversary, the Laureato joins this hall of fame for iconic models.